Service dogs are heroes, they stop bad guys from hurting innocent people. They sniff out drugs, bombs and guns to protect us while putting themselves in harms way. We think service dogs are fantastic and so here is our funny pic collection to honour them. Where we would we be without these wonderful brave service dogs. 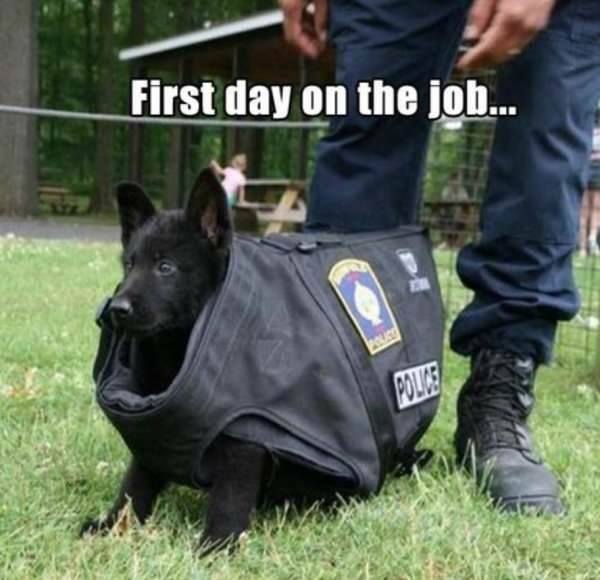 1… Awwwww so sweet, he will grow into it and when he does, he will be a mean bad boy super hero!